Take one capsule between meals, one before and one after training. Take one capsule 3 times a day between meals. Dosing should be matched to your goals. Before-training portion may improve well-being and increase energy level during training. With this aim, one capsule should suffice. 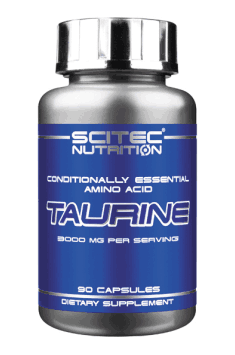 After training, taurine may facilitate regeneration and reduce DNA damages, therefore at this time even up to 3 capsules should be used. It is worth considering an evening dose to improve the quality of sleep and fall asleep faster. For this purpose, use 1-2 capsules in one portion.